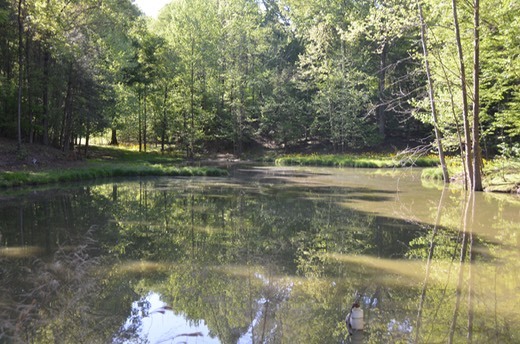 This pond is set in a deep hollow surrounded by large oaks and pines. 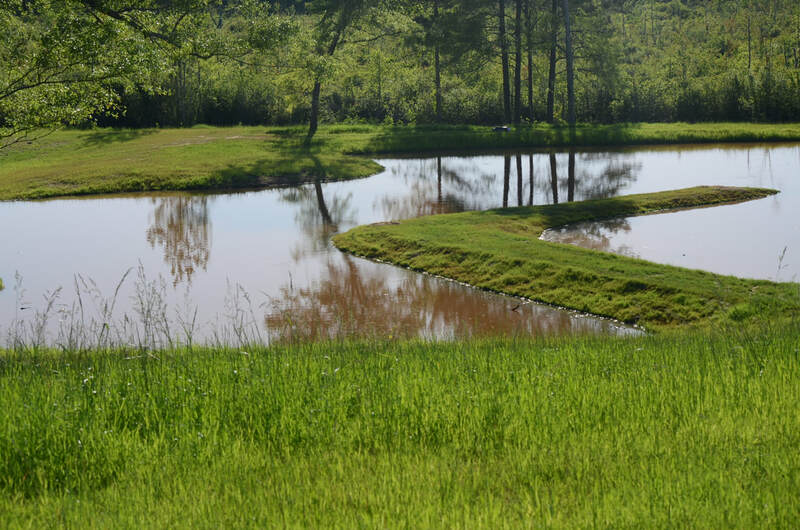 There are three long points that jut out into the water to give this pond a technical feel. 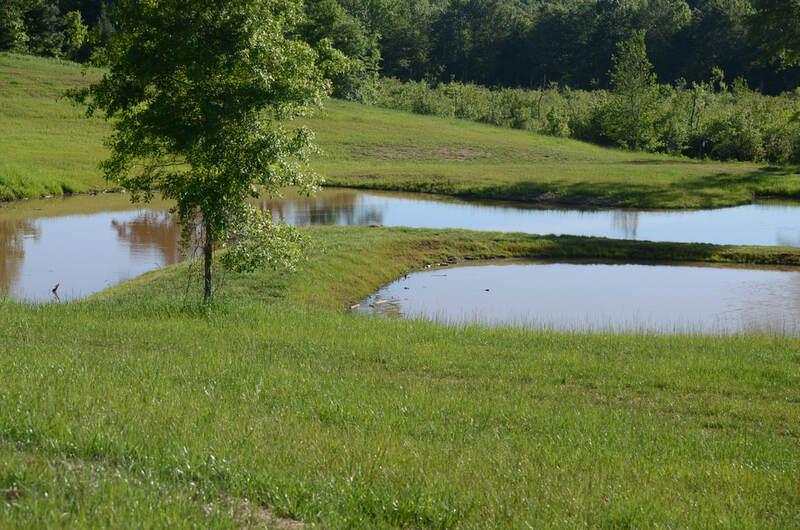 This is a great puppy/started dog pond to work decheating and simple swimming marks and blinds. This pond is where dogs are made. 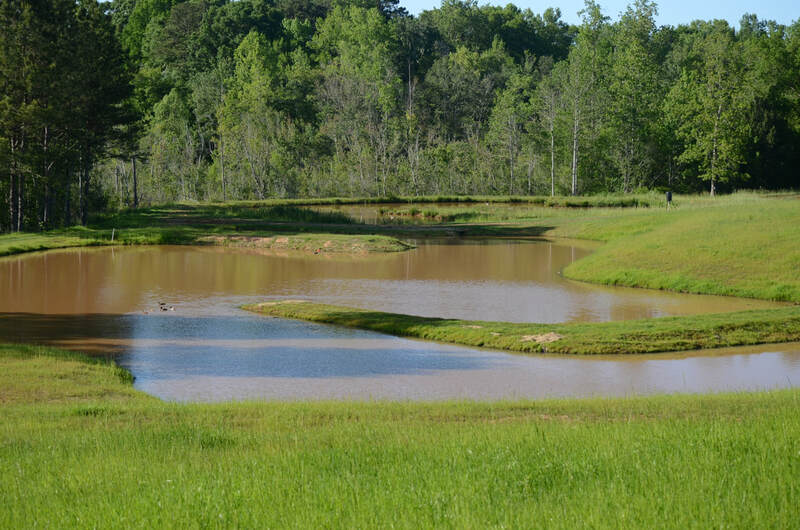 The pond layout is modeled after technical ponds located in Alabama. This pond has it all. 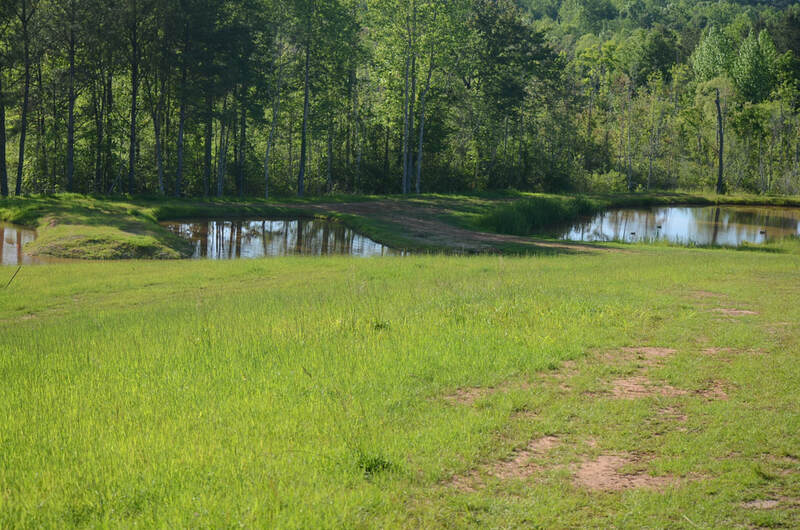 From chutes, peninsulas, points, and even a "T" in the middle, this pond contains so many different angles and points of entry that it will make a good retriever into a phenomenal retrieving machine. There is also some great shallow water to start puppies in.